At a glance, Angry Birds is a franchise that probably should have ended long ago. None of its many iterations, from spin-off sequels to the animated movie, have managed to capture the general mass in the same way the original had when it debuted in 2009. Despite the change in platforms, from mobile to VR, there’s little reason for anyone to expect this latest entry to succeed. But it does succeed – in flying colors, actually. 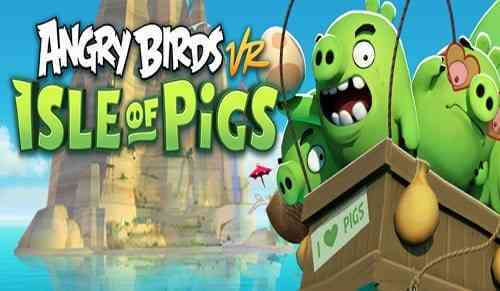 Angry Birds VR: Isle of Pigs takes what made the original so enjoyable, and transports those elements into three-dimensional space. It’s silly, fun, and far better than it has any right to be. The series made its name off the simple premise of slingshotting birds into precarious structures, and Isle of Pigs stays true to that. In each level, pigs sit perched around a building. With a slingshot in hand, you have three tries to knock down the pigs and create as much destruction as possible. 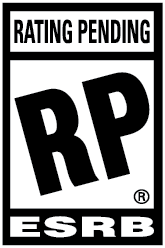 The game’s physics behave realistically, so you’ll have to target a structure’s weak points and supports to score the most points. The bulk of the amusement comes from sending a bird flying into a sweet spot and watching everything crumble down like a doomed Jenga tower, but with more explosions and chaos. On mobile, it’s easy to see a level’s layout, because it’s all right there on your phone screen. In VR, however, perspective comes into play, adding an extra layer of strategy to the puzzle. Structural weak points, bombs, and even pigs may all be hidden from your starting point. In order to get the best results, it pays to first scout out a level. You can do this by moving around physically, or teleporting to preset nodes in the environment. 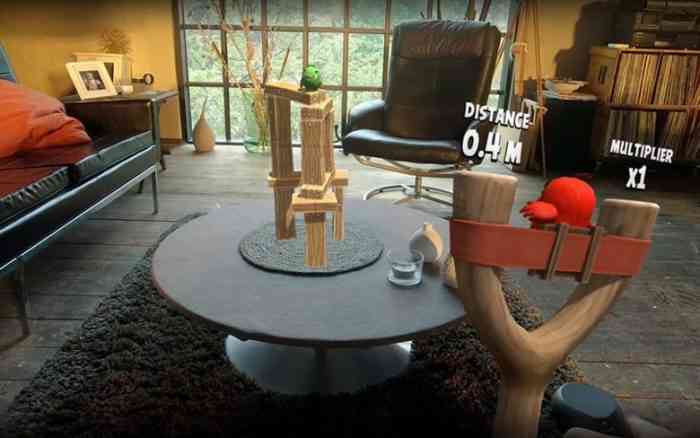 It sounds unbelievable, but by literally adding an extra dimension to the puzzles, making them 3D rather than 2D, Angry Birds now feels fresh again. There are four birds to use as ammo. Red, the flagship mascot and most common bird, has the mass to knock down most tiles. Chuck can boost to high speeds, which is great for tackling the more stubborn pieces. Bomb is the most enjoyable to use, as his self-detonation – as morbid as that ability is – can propel everything in a wide area. Finally, there’s The Blues, which splits up into three small birds. You can’t pick and choose which to use, so you must also plan accordingly by paying attention to which birds are available and the order they are available. While the gameplay loop is simple in nature, there’s a strong sense of catharsis to be had in wreaking havoc on the poor pigs. And that leads to Isle of Pigs’ major fault – it ends too soon. Of the four environments, each comes with thirteen levels, totaling up to fifty-two. It took roughly an hour and a half to complete the entire game, and that’s factoring in the numerous times I got stumped. Of course, you can always go back and try to perfect every level by scoring more points, but even that only takes so long. Angry Birds: Isle of Pigs recognizes the appeal of its predecessor and delivers physics-based puzzles in spades. There are no gimmicks here, just good old bird-flinging fun. 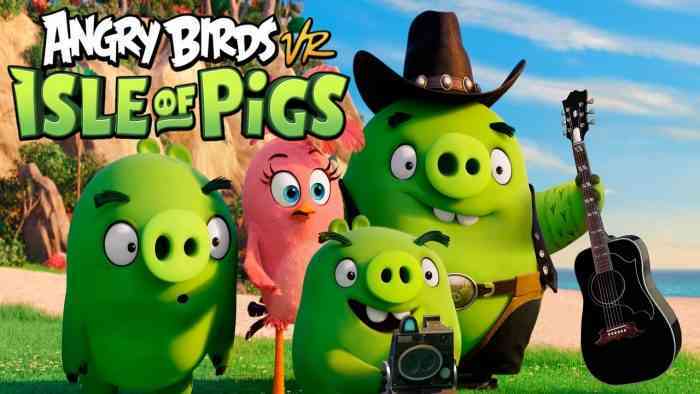 Isle of Pigs may not reinvent or reinvigorate the franchise, but it shows that Angry Birds certainly has a home on VR. If Rovio goes on to release as many sequels and spin-offs on VR as they have on mobile, well, that may not be a bad thing after all.